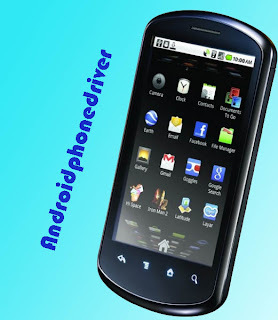 One of the most successful Chinese company Huawei smartphone received an official update to Android 2.3 Gingerbread. The smartphone was originally released with Android 2.2 Froyo in October 2010. The device is well sold in many countries, it has been successful in the Russian market. In principle, the output of Huawei U8800 IDEOS X5 marks the beginning of promoting China's own brand. Update for Huawei IDEOS X5 includes not only the Android 2.3 Gingerbread, but also part of the interface improvements, created by the company. Package with the update to download from the official website for the link . Its volume is just over 192 MB. Be careful, just in case sync all their data with servers Google. By the way, the guys from Huawei, knowing that their love for smartphone pereproshivaemost warned that the owners of U8800 with third party firmware, it may be difficult. Huawei U8800 IDEOS X5 - Android-smartphone with touch-screen diagonal is 3.8 inches, and resolution - 800 x 480 resolution. The smartphone uses a single core processor Qualcomm MSM7230 800 MHz. The amount of RAM in your smartphone is 512 MB, and memory for recording user and system data - 2 GB. Resolution of the camera in a smartphone - 5 MP. The device was in so much success that the company released IDEOS X5 Pro with a slightly improved characteristics.